The menu combines comfort Asian food with European and American elements and the results are delicious! For a Pan-Asian loyalist, Mamagoto is a comfortable and wholesome option every time the craving for Chinese or Thai kicks in. I’ve always wondered whether it is possible to innovate and reinvent Asian fare. Even if the recipe is tweaked, how different can it taste? My belief has always been that Asian cuisine follows a set format of ingredients and concoction. I enter the recently opened Mr. Mamagoto armed with this preconceived notion and a famished tummy after the trek to Gurgaon. 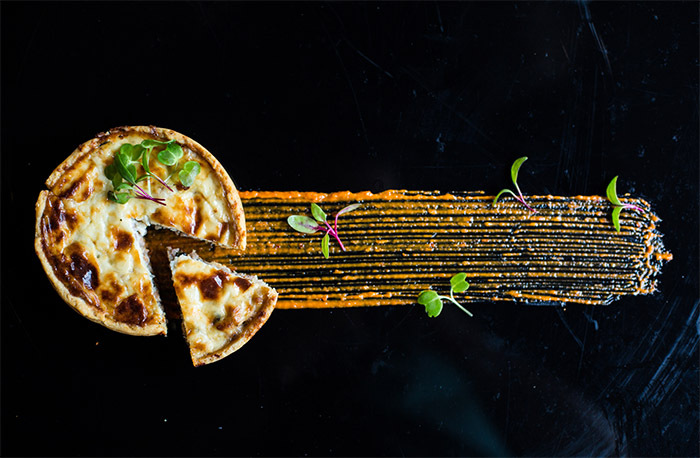 The brassiere, owned by Kabir Suri and Rahul Khanna, looks a tad different from its peppy cousin. 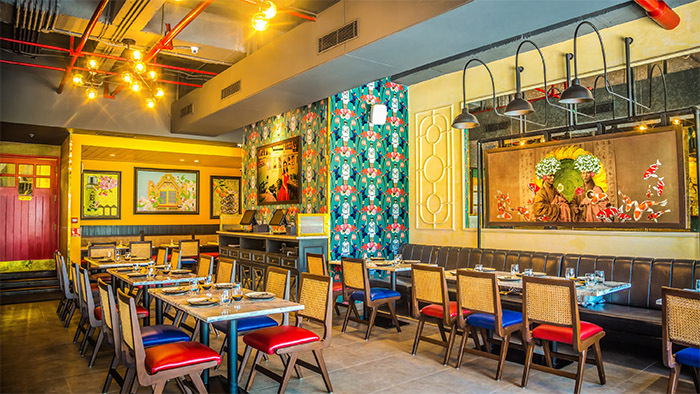 The quirky graffiti on the walls have been replaced by elegant artworks that exude a European vibe and the cool chairs have made way for classy seating. I can’t wait to dig into the posh hawker food that the place promises to serve. I cool down with a Kiwi Mint Collins. The refreshingly minty liquid has chunky bites of fresh kiwi. Next up is a Thai variant of the puchka. 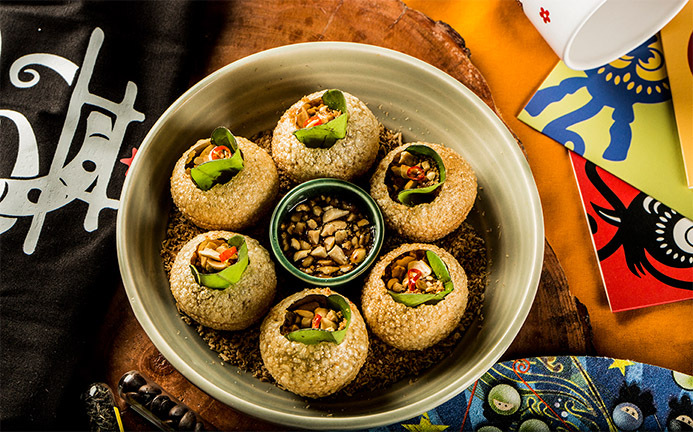 Stuffed with pellets of ginger, peanuts, Thai spices and a betel leaf, the sweet and sour ginger sauce makes this snack a fun way to whet the appetite. 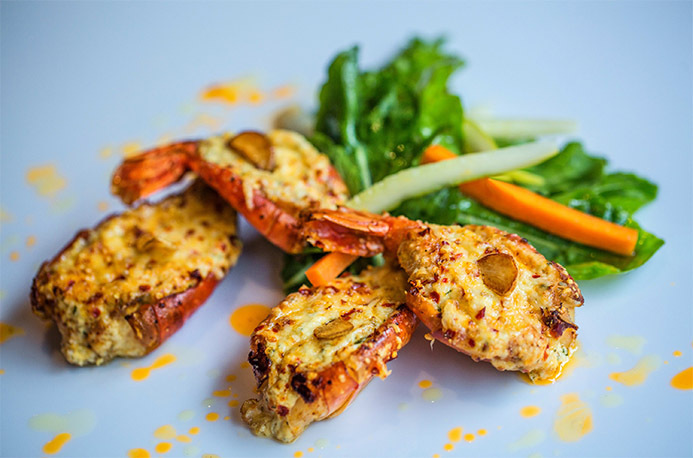 Then we have the shrimp with wasabi cream, a perfect finger-food where the fish is spicy and the sauce is subtle with that twangy aftertaste. The chefs regaled us with some fun plating tricks. When the Sesame Crumble tofu arrives, it rests on a bed of dalmoot (fried lentils). Silky soft tofu is paired with crunchy sesame and topped with a sour sauce. While I relish the dish, the chef sends in the corn on the cob which turns out to be the best I’ve ever tasted. The main course commences with the sweet potato and oyster mushroom skewers, which soon reveals itself to be the surprise of the day. Although I’ve always turned up my nose at the vegetable, I couldn’t believe that it could be cooked with such versatility. The potato is delicate and soft, the mushrooms, meaty. 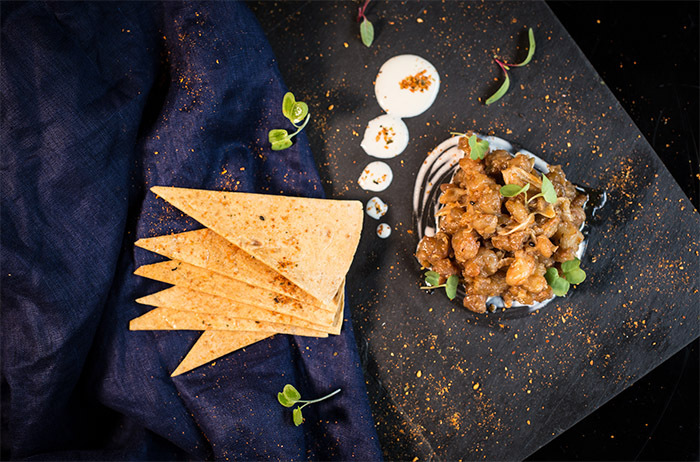 The ingredients blend together with aplomb and the dish is a fine example of how the chef has incorporated European and American elements in the existing Mamagoto menu. Pescatarians can go berserk at this pretty eatery. There’s baked prawn with Thai-infused oil and Asian fish and chips. The Katsu chicken could have been a little less stringy and the wasabi mashed potato is a little too strong for my liking. 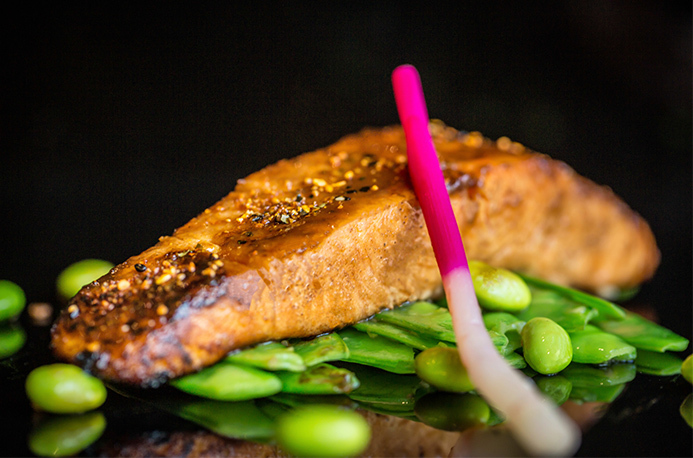 The miso glazed salmon served with sautéed snow peas and edamame, however, makes up for it. Filled to the gills, there’s space for just one dessert and I dither between the white chocolate pannacotta and the choco lava cake. 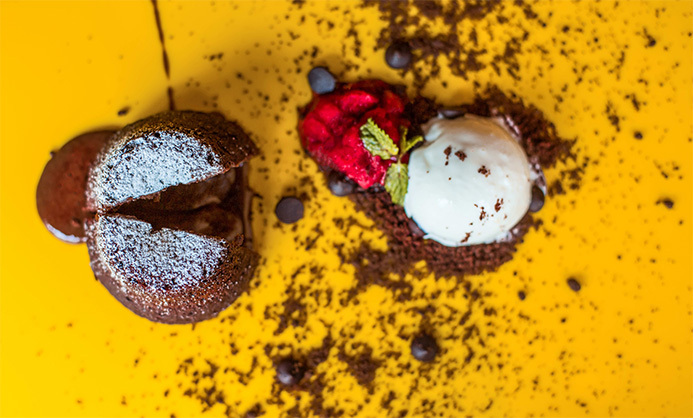 I give in to the temptation for the lava cake and savour it in silence before I go home to a good night’s sleep.